Home HEALTH Amazing health benefits of eating Pineapples. Pineapple or Ananas comosus is an incredibly delicious and healthy tropical fruit. This tropical fruit is packed with nutrients, antioxidants and other helpful compounds, such as enzymes that can fight inflammation and disease. 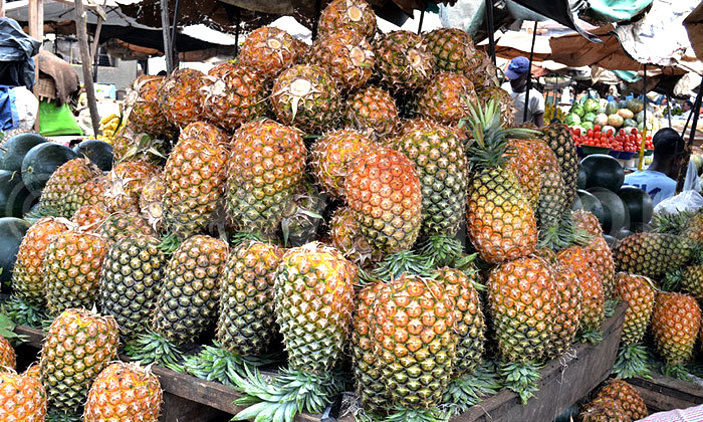 The power of pineapple also lies in its digestibility, its natural sweetness and of course, its affordability. Pineapple and its compounds have been linked to many health benefits, including aiding digestion boosting immunity and speeding up recovery from surgery, among others. 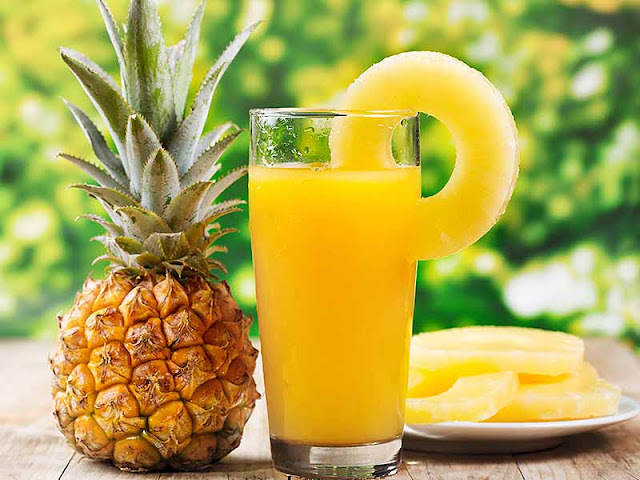 Pineapple is also a rich source in Vitamin A and Beta-Carotene, which helps your immune system, eyesight and protects from free radicals; Vitamins B1 and B6 which are good for energy production and the breakdown of sugars and starches in your digestive system; copper, which helps red blood cell synthesis; and potassium, which assists in controlling the heart rate and blood pressure. Eating a cup of pineapple (also known as ananas) chunks helps one to reap the amazing benefits, such as boosting immunity, improving bone and eye health and aiding in digestion. It is also anti-inflammatory in nature and helps in curing coughs and colds and accelerating weight loss. Pineapples can boost bone health, help you shed belly fat, and offer immune support when you are trying to fend off bad bacteria. Pineapples also contain trace amounts of vitamins A and K, phosphorus, zinc and calcium. They are especially rich in vitamin C and manganese, providing 131% and 76% of the daily recommendations, respectively. Vitamin C is essential for growth and development, a healthy immune system and aiding the absorption of iron from the diet. Manganese is a naturally occurring mineral that aids growth, maintains a healthy metabolism and has antioxidant properties. Pineapple may help you keep standing tall and strong. The fruit contains nearly 75% of the daily-recommended value of the mineral manganese, which is essential in developing strong bones and connective tissue, according to the Linus Pauling Institute. Pineapple is also low in calories, sodium, saturated fats and cholesterol while being a rich source of fibre, so it’s the perfect weight loss food. Manganese mineral is an essential element for energy production, while protecting your cells from free radicals. It helps your body use key nutrients including thiamine and biotin, keeps your bones healthy and helps synthesise fatty foods. 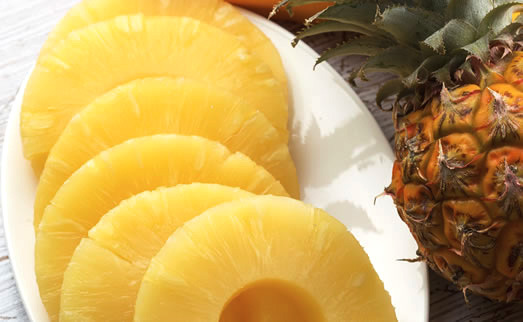 Pineapple contains dietary fiber, which is essential in keeping you regular and in keeping your intestines healthy. It contains significant amounts of bromelain, an enzyme that breaks down protein, possibly helping digestion.